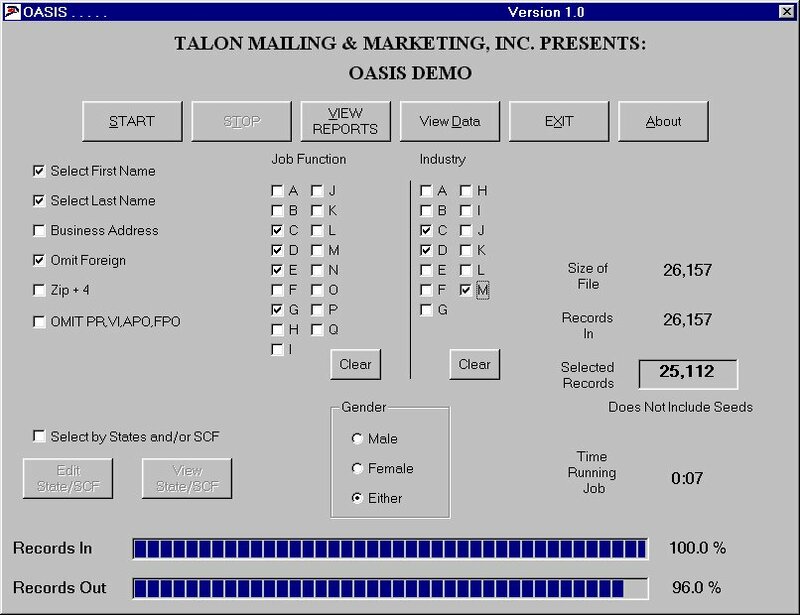 Welcome to the Talon Mailing & Marketing October 2013 Newsletter. If you think that direct mail is dead, then I’m afraid you're wrong. TV hasn’t killed our love of a good book, neither has the Kindle killed bookshops – yet, and just because we now use email for marketing doesn’t mean that direct mail has been left languishing like an odd sock. In a society that faces technological progress on what feels like a daily basis, it’s easy to think that more traditional methods of communication have been lost amongst the wealth of tools available. And when it comes to marketing, and the number of apps, tools, and gadgets at our fingertips, some people might think that direct mail is dead. But they’d be wrong. According to Central Mailing Services 2013 infographic on direct mail statistics, a whopping 48% of the UK population has responded to direct mail over the past year. Add to that statistics that show 62% of people like to receive offers via mail and 56% of people welcome mail that provides useful information, direct mail sounds like a brighter option than you may have thought 2 minutes ago. A phrase made famous by Tom Hanks back in the 1990s. But now, everyone is getting mail. In fact, if your computer announced ‘You’ve got mail’ every time you had actually gotten mail, it wouldn’t take too long for the computer to be thrown out of a window somewhere. Landing in a heap of other computers that had been swiftly ejected from homes and businesses everywhere. We live in a time where professionals everywhere are suffering from inbox overload, and with 300 billion messages sent each day, that is hardly surprising. So in a time where every business everywhere is sending email after email, it makes a nice change for a direct mail to land upon a CEO’s desk on a Monday morning. In fact, some may call it a novelty to receive an interesting piece of direct mail – you instantly stand out from the plethora of emails. And given the fact that printing costs have fallen drastically, you can send out something a little different from your competitors without having to contend with an ever dwindling marketing budget. 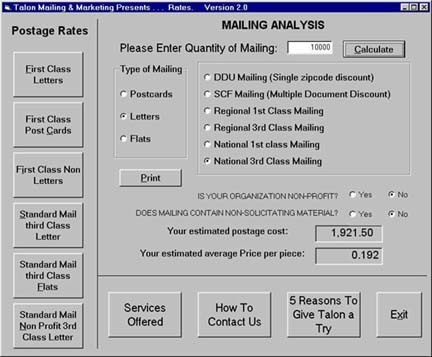 A study conducted by the Direct Marketing Association (DMA) in April 2012 found that the response rate for direct mail to an existing customer averages 3.4%, compared to 0.12% for email. Using direct mail doesn’t mean that you should scrap that social media plan. In fact, research shows that printed direct mail is a great way to drive digital interaction. The DMA also says that print DM is a good way to drive digital interaction and that the move to digital marketing has actually driven more innovation in print DM, rather than killing it off. Being creative in your DM design helps to drive better results too and using ‘dimensional mail’ rather than traditional flat paper in envelopes has been shown to get significantly higher response rates in the B2B world. So if I’ve managed to show you that direct mail is worth a chance, how does a business go about creating mailers that will give you the response you’re looking for? • Focused targeting – don’t mass send to everyone in your database. Be selective, develop the right messages and send only to the right people. Remember – this will only be successful if you’ve got good, up-to-date data lists. • Get personal – use of first name just doesn’t cut it anymore. You have to speak to the business pain your prospects are feeling or your mailer just won’t resonate, no matter how pretty it is. • Don’t go it alone – like all marketing channels, integration is the key and your amazing DM campaign needs to be surrounded by other marketing activities for maximum impact. • Get your headline right! Most people are not paying attention to every advertisement so you really have to shake them to their core with something that is relevant and attention grabbing. • Remember that, although the costs of a DM campaign may seem high compared to digital, if you get it right the potential ROI is a lot higher too. Suzanne Stock is one of the founder Directors of Marketscan. During this time she has experienced many changes within the data industry and played a strategic role within the management team creating development opportunities. 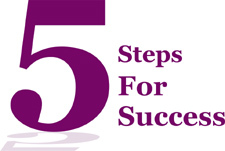 Five Key Elements of a Successful Direct Marketing Campaign. Here are five key elements to make your next marketing campaign successful. As most people know, the American Association for Retired People (AARP) is a positive advocacy organization for people age 50 and over. So if you receive a direct mail letter from the AARP asking you to join their selective yet beneficial club, you most likely will give the letter its due attention. Doing a quick search on the Internet, one can find tales of direct mail campaigns gone awry from the AARP, as individuals some 20 years before the target mark receive invitation letters. Now, due to its strong brand presence and reputation throughout the country, the AARP can withstand a few direct mail gaffes. Could you say the same about your brand? Direct marketing is one of the most effective ways to reach your current or future customers. While it can take many forms and serve many purposes, there are certain key elements to any successful direct marketing campaign. 1. Know Your Customers. Blanketing the entire universe is a direct mail notion of the past. Targeting is the key for today. Whether your current customers are defined by region, age, income level, agricultural product, the time of year they purchased, etc., this information will help you determine what makes your audience tick, and how you can more effectively market to them in the future. 2. Assess Your Data. By knowing the key attributes--or data points--of your current customers, you can use those to build out your database and identify future targets. Like many organizations utilizing a direct-marketing strategy, BASF's customer and prospect database contained valuable data points, especially related to its Ag brand usage, loyalty, and customer demographics. However, the company struggled with obtaining "year on year" data on a consistent basis. By partnering with Successful Farming Data Services, which maintains more than 2,800 data points on its customers, BASF was able to augment its Ag demo information with additional prospects obtained from the Successful Farming database using analysis and brand data. "A little collaboration can go along way," said Cheryl Dahlquist, Director of Database Marketing Services for Meredith Corporation. "The direct-marketing sophistication of agri-businesses is growing exponentially, and companies are putting that skill to use to positively impact their bottom line." 3. Creative Execution. 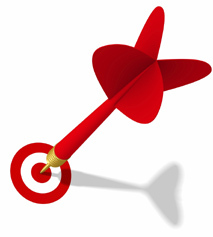 Nearly as important as assuring your data points are on target is developing a creative strategy that will get results. Investing in direct-mail creative services with a proven direct marketing company can help ensure your message rises above the clutter. Working hand-in-hand with your direct marketing partner, you can determine the key parameters, such as the creative package and its messages. What is your product? What is the benefit? What is the unique offer to this audience? What is the call to action? 4. Response Capturing. A major strength of utilizing a direct-mail campaign is the ability to insert a variety of response tracking mechanisms. Whether utilizing a promotional code, a coupon, a unique Web site landing page, or a specific e-mail address and toll free number for each campaign, customer data received from these vehicles can be used to determine the success of the campaign, as well as how your target audience prefers to respond to direct-mail offers. 5. Analyze & Improve. Once the response data is captured, the final step in the process is a thorough examination of the results. Analyzing each segment of the campaign can help determine its independent successes, and areas for improvement. For example, if the response rate was positive but actual sales were low, that could mean the call to action and messaging were on target, but the offer or coupon may need to be tweaked for this audience. Remember, while the goal of every campaign is a strong response rate, each campaign offers a learning opportunity to make the next direct-marketing initiative an even bigger success. LinkedIn, the largest professional network, is facing a lawsuit filed by four users for allegedly misusing their account information for marketing purposes. The complainants allege that LinkedIn used information about contacts on their email accounts and sent out endorsement mails on his/her behalf to the email users. The mails forwarded repeated invitations to the other contacts to join varied services and products on the site. The lawsuit filed by Russ August & Kabat, Los Angeles, reads, "As a part of its effort to acquire new users, Linkedln sends multiple e-mails endorsing its products, services and brand to potential new users," reports Economic Times. "In an effort to optimize the efficiency of this marketing strategy, Linkedln sends these 'endorsement e-mails' to the list of e-mail addresses obtained without its existing users' express consent and, to further enhance the effectiveness of this particular marketing campaign, these endorsement e-mails contain the name and likeness of those existing users from whom Linkedln surreptitiously obtained the list of email addresses." A LinkedIn user, Deborah Lagutaris, a tax preparer by profession, said to Bloomberg that more than 3000 people on her contact list received invitations from LinkedIn in her user name. When she questioned LinkedIn the company replied, "Oh, you can remove all those invitations from your account manually. We don't know what happened.'' Later, Lagutaris had to add a disclaimer to her page stating that she had not been sending out these spam mails. The California based social networking giant has refuted the allegations saying that LinkedIn is very strict about security norms and never sends out information on a users' s behalf unless permitted by the user. An official statement by the company says, "LinkedIn is committed to putting our members first, which includes being transparent about how we protect and utilize our members' data. We believe that the legal claims in this lawsuit are without merit, and we intend to fight it vigorously." Blake Lawlit, the senior director also made a statement on the official LinkedIn blog, "As you may have read recently, a class action lawsuit was filed against LinkedIn last week. The lawsuit alleges that we 'break into' the email accounts of our members who choose to upload their email address books to LinkedIn. Quite simply, this is not true." The complainants have asked the company to pay them the money that it earned by using their LinkedIn accounts. Tuesday November 5, 2013. Nets vs. Utah 7:30 PM. getsignals.com - Track email opens and clicks directly from Gmail, Outlook and Salesforce. cloudconvert.org - Conversions between more than 100 different audio, video, document, ebook, archive, image, spreadsheet and presentation formats. gingkoapp.com - A new kind of word processor. Whether you’re writing group study notes or academic papers, Gingko lets you see the big picture, or focus on the details. You’ll never be lost in words again. wideo.co - Make a video online for free with wideo! Create demo videos, bring animated e-cards to life, create educational videos and lots more. soundfocus.com - Gives people with hearing loss 20/20 hearing when listening to music on an iPhone or iPod Touch. livescience.com - Groundbreaking developments in science, space, technology, health, the environment, our culture and history. mindsy.com - Learn something new everyday. Unlimited access to 5,121 premium video lessons and courses. Covering everything from programming to piano.